For a while I've been reading a lot of reviews and talk about Matte nail polish, and I have to admit that at first, I really did not understand the hype. I think my issue has always been that I just think that nail polish is meant to be shiny, I mean isn't that one of the reasons why we apply a Top Coat (along with protecting your polish, and making sure that it lasts longer without chipping), to get shine. 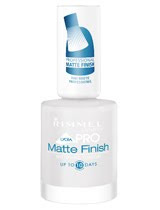 However, after Dottie K reviewed the Matte polishes, including the Rimmel Matte Top Coat on her blog, I decided that it was worth a try, and for £4.50 (ish) I honestly hoped that it was going to be worth the money. Expensive? At first glance nearly £4.50 seems expensive for a Top Coat (in my cheap-minded opinion anyway! ), however, the bottle is actually larger than conventional Rimmel polishes,which are typically 8ml, whilst this is 12ml. Plus, I also purchased this as part of Superdrug's Buy 2 get one Free offer on Rimmel cosmetics. How do it work? The matte top coat has a thick, opaque consistency that dulls the appearance ofthe shade that it is covering. This in effect hides the polish's natural shine. It was interesting to see each shade with the matte coat on top (it was even more interesting to see each of my nails as a completely different colour!) 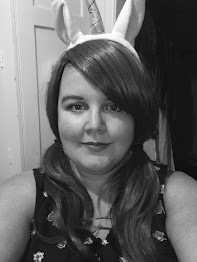 and it gives the shades a whole new lease of life, but I have to say that the matte-look doesn't really look that nice on paler shades, although I really loved how it looked on Rimmel's Sky High. The Matte polish looks great on darker shades. Who is the Matte Top Coat for? Anyone who is looking to revamp their existing Nail Polish collection, or who isn't a fan of shiny and glossy nails.